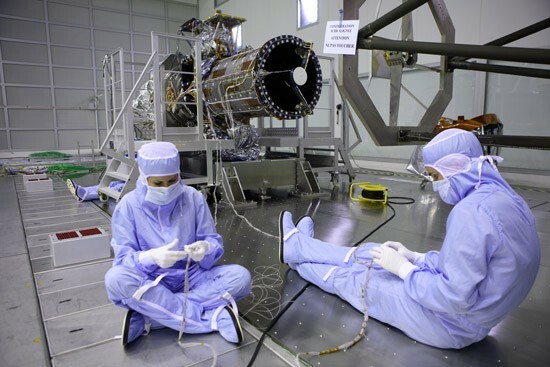 With delivery of the 1st Pleiades telescope set for 31 July, the ORFEO Earth-observation programme is advancing apace. 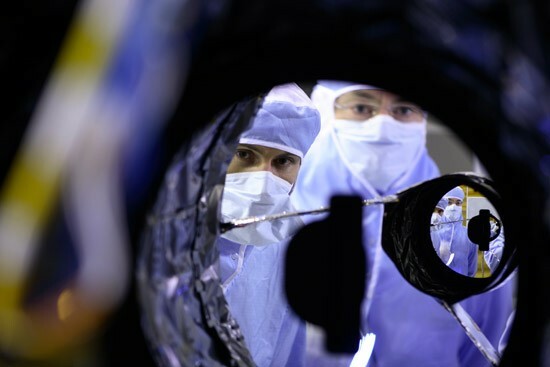 The French-built optical component of this system will supply global imagery at resolutions down to 70 cm. Pleiades will also be a dual-use system serving civil and military applications. Technicians work on the 1st Pleaides telescope. Credit: CNES. The Pleiades constellation will consist of 2 identical satellites capable of imaging Earth at resolutions down to 70 cm. Pleaides forms the optical component of the ORFEO Earth-observation programme. 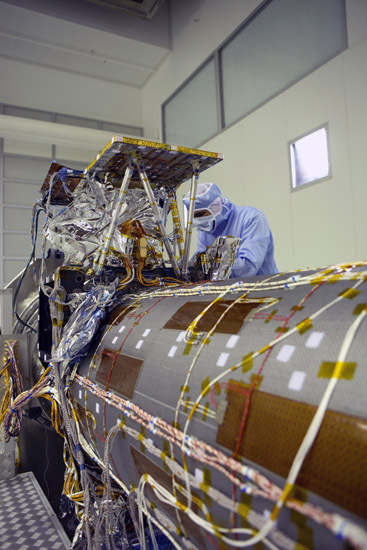 The radar component is being supplied by Italy’s Cosmo-Skymed programme, which already has 2 satellites in orbit. Testing the Pleaides telescope. Credits: CNES. 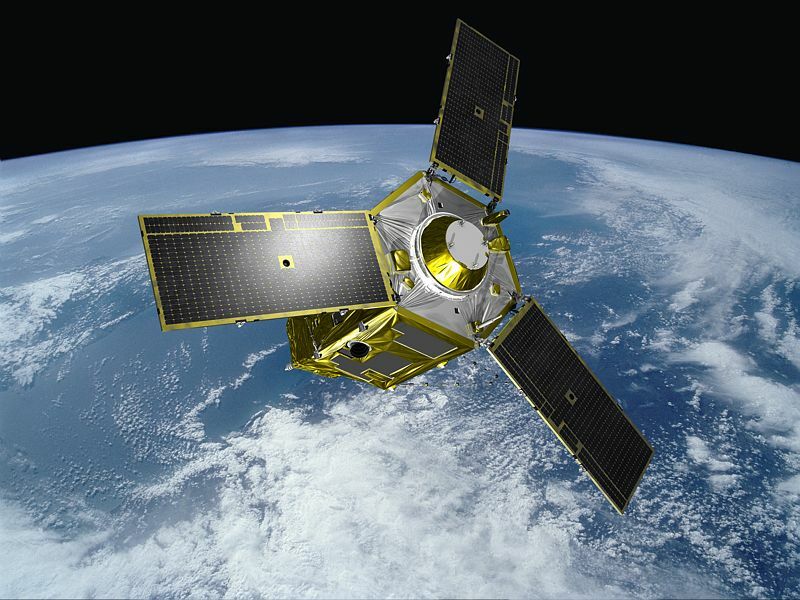 The 1st Pleaides satellite under development in Cannes. Credit: CNES. Another major innovation of Pleaides is that it will serve both civil and military applications. “The satellite control centre will be located at CNES in Toulouse,” says Eric Boussarie. One of the 2 Pleaides satellites in orbit. Credits: Ill. EADS/Astrium/Groupe Master Image. And that’s not all. Receiving stations could sprout up around the globe to serve Spot Image customers looking to receive imagery in real time. For the moment, there are still a lot of phases to be completed before the system is operational. The 1st Pleaides satellite will launch no earlier than the start of 2010 and the 2nd is expected to follow 18 months later.